From the very first days of its existence, the State of Israel had to fight for its independence. To survive and emerge victorious from these conditions, the young state had to create one of the most powerful, efficient, modern and high-tech systems of security in the world. With these tools, the State of Israel did not only repeatedly manage to overcome its enemies, but also gradually became a living example and a role model in focused resilience to many countries. Today Israel is a place where the latest technology and established military traditions and skills go hand in hand. And now you too, have a unique opportunity to have a glimpse of this exciting and dangerous world from within! 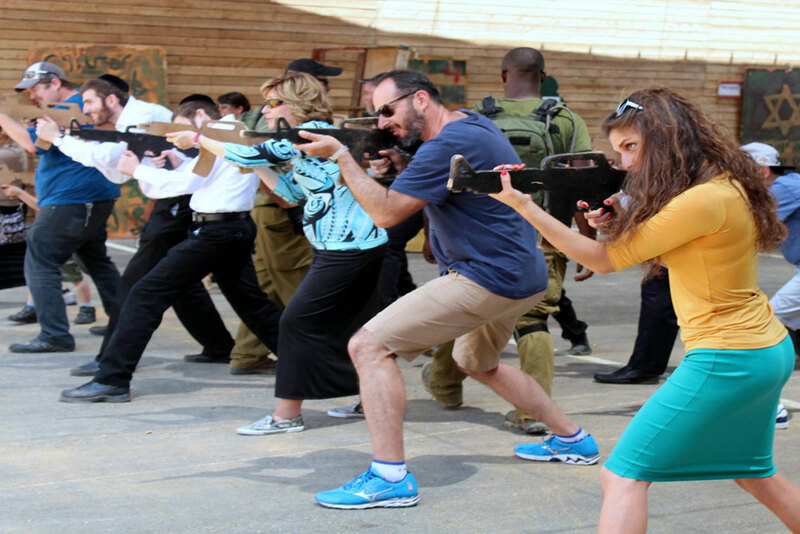 Among other things, the “Back to the Army” tour offers you to become an active participant in a real military training program and field exercises using a wide range of weaponry, in use by the IDF and the secret services. In each one of us lives a prehistoric warrior, who, fortunately, dozing in the modern world. Military tourism provides you the opportunity to rediscover this side of your personality, test your endurance, strength and courage. Just like a real soldier you will be wearing military uniforms, lodging in army tents, eat soldier’s food, learn and use the modern, live ammunition and weapons. Perhaps most importantly – you will closely interact with and learn from the experience of the real combat fighters and professionals of the elite IDF units. In addition, you will be able to travel around the country and visit the most important of its many historical and cultural landmarks – and see them with a different, out-of-the ordinary look. Among those landmarks are also numerous sites related to military history and technology – such as the Armored Corps Memorial Site and Museum at Latrun, the Victory Memorial in Netanya, the Golan Heights battle sites and others. For you, this adventure can become an opportunity to not only experience a tremendous adrenaline rush, to learn the basics of using various modern weaponry, to study the secrets of one of the most effective and deadly martial arts of exclusive Israeli development – the “Krav Maga”, – but also to learn and understand the history of the confrontation and the fight against terrorism, about legendary wars and operations, which brought fame for the Israeli Armed Forces throughout the world. After all, it is as Sun Tzu puts it: “The opportunity to secure ourselves against defeat lies in our own hands, but the opportunity of defeating the enemy is provided by the enemy himself”.